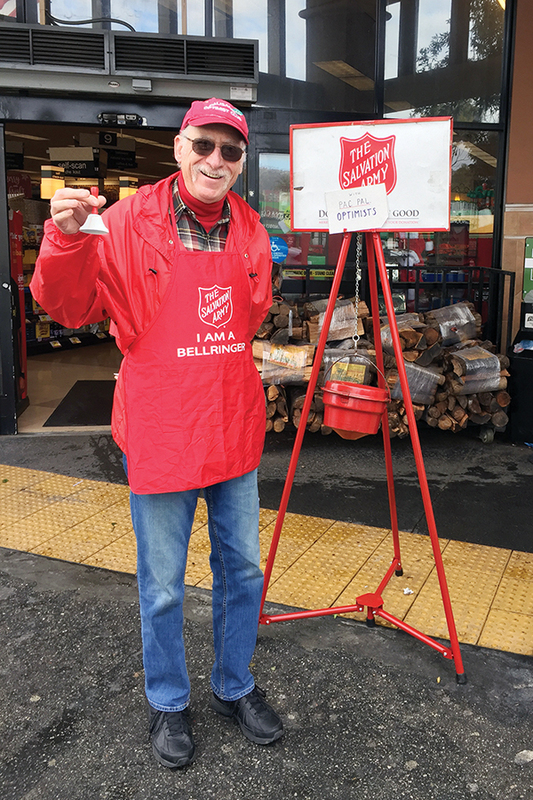 On Dec. 16, Pacific Palisades Optimist Club members rang bells in front of Bank of America, the Post Office, CVS and Ralphs for the Salvation Army. The Salvation Army assists more than 4.5 million people between Thanksgiving and Christmas. Visit onlineredkettle.com for more information.